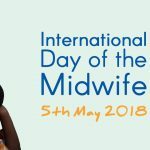 Midwives For Haiti is fighting maternal and infant mortality in Haiti, the most dangerous country in the Western Hemisphere to be a mother, baby, or child under 5. We deliver culturally appropriate, high impact health interventions to increase access to quality maternal care. Our projects educate and empower Haitian men and women to improve the health of their communities, creating lasting change for our graduates, the lives of the mothers and children they care for, and their country. Our vision is that all Haitian women will have access to prenatal and postnatal care and deliver with the assistance of a Skilled Birth Attendant. In 2013, our graduates provided over 60,000 prenatal visits and assisted at over 12,000 births throughout the country. We are currently training our seventh class of Skilled Birth Attendants with the support of international medical volunteers. 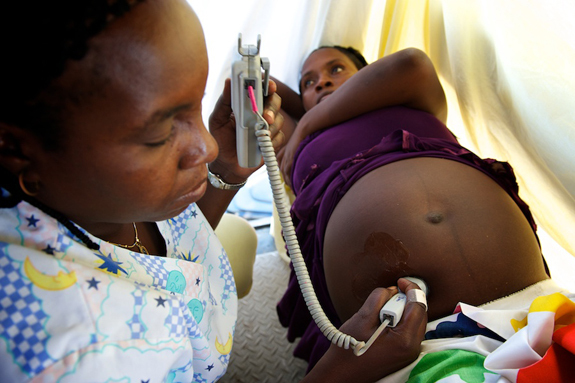 In 2014, our Mobile Prenatal Clinic will provide 6,000 patient care visits to the mothers and infants of rural Haiti and the Postnatal Care Program aims to increase from 1% to 100% the number of mothers and newborns receiving postnatal care at Hospital Ste. Therese. Midwives For Haiti is a 501(c)(3) non-profit organization and all donations are tax-deductible. 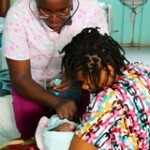 Learn more: www.midwivesforhaiti.org. 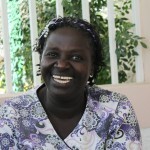 You can also follow us on Facebook at https://www.facebook.com/MidwivesForHaiti or on Twitter @Midwives4Haiti. 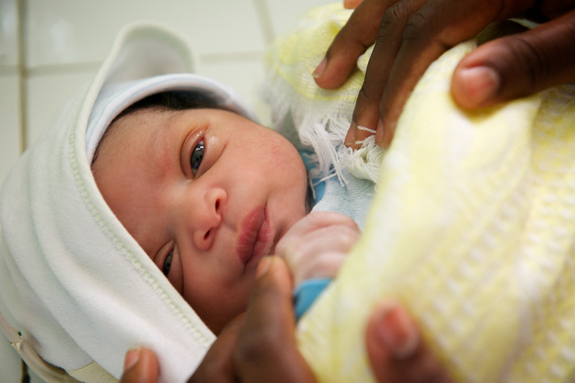 Our projects increase access to quality maternal and infant care. We train Haitian nurses to become Skilled Birth Attendants. Graduates of our 12-month program receive a Certificate in Advanced Obstetrics Training by the Haitian Ministry of Health and go on to work in hospitals, birth centers, and mobile clinics throughout the country. MFH has graduated over 70 Skilled Birth Attendants. Class 7 will graduate in March 2015. Mobile Prenatal Clinic: Each month, the Mobile Prenatal Clinic reaches 500-600 women in 20 remote communities in the Central Plateau and delivers prenatal screening that includes routine testing for sexually transmitted diseases and treatment for anemia and worms. Postnatal Care Program: Every mother who delivers at Hospital Ste. Therese and her baby are now thoroughly evaluated before discharge, given excellent education and scheduled for follow-up visits in our new postnatal clinic. With this new program, we hope to increase the number of patients receiving postnatal care at Hospital Ste. Therese from 1% to 100%. Maternity Center at Ste. Therese Hospital: The site of our clinical training, we also contribute resources, supplies, and pay the salaries of ten staff SBAs to ensure care is available 24/7. 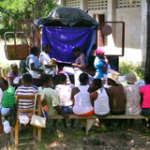 Matròn Outreach Program: Traditional Birth Attendants, called Matròns in Haitian Creole, attend nearly 75% of the births in Haiti and often have little or no formal training but are highly trusted community members. We provide a 5-month formal training program in achieving clean, safe deliveries by utilizing strategies that have been statistically proven to reduce rates of maternal and neonatal death. Along with providing matròns with Clean Delivery Kits, we are working to better integrate them into the medical system. To date, we’ve trained over 100 matròns and 50 matròn trainers in this program. Increasing access to maternal care in rural communities reduces preventable maternal and infant deaths.